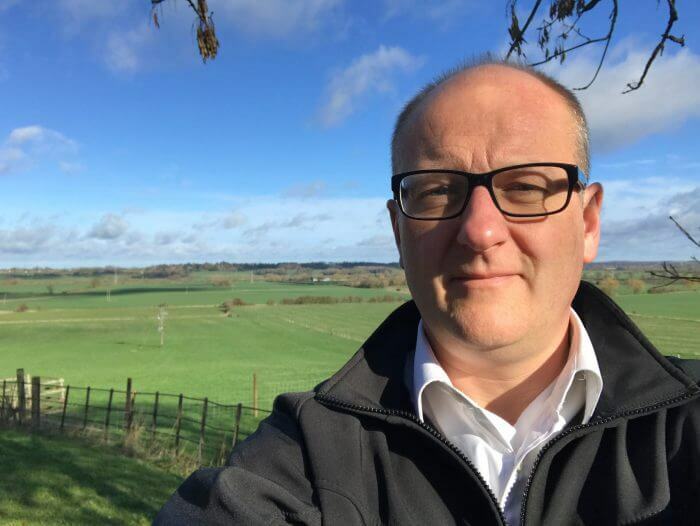 Nu-Heat’s MD, David Roberts, muses on on the latest developments for decarbonising our homes and the Future Homes Standard announced in the Chancellor’s Spring Statement. Attending Futurebuild in London highlighted a number of economic and environmental challenges for the built environment. However, the topic at the forefront of my mind is knowing that we have to change our approach to how we heat our homes, and move away from fossil fuels, but that we have to support this change and the people involved. The theme of Futurebuild was ‘Time For Action’ and this is incredibly apt with the current focus on sustainability, a rise in fuel poverty and the need to ensure that our homes are safe and provide an environmentally sound and healthy future for us all. The challenges are clear, but what is our response? International commitments have been made, and strategies drawn up, including the Clean Growth Strategy. Last month the Committee on Climate Change (CCC) published their UK Housing report, proposing measures that UK Government, householders and developers need to adopt now if the UK is to meet 2050 emissions targets. The CCC identify that the Government needs to take immediate action to improve the UK’s housing stock and help achieve long-term emissions reduction targets through enforcing standards, ensuring compliance, delivering skills, retrofitting existing homes and ensuring that new homes are low-carbon, energy efficient and climate resilient. The report recommends that no new homes should be connected to the gas grid by 2025 at the latest and I welcome this disruptive proposal. What difference would it make to our plans and our choices if ‘burning stuff’ to keep us warm actually ceased to be an option? This disruption creates a platform for renewable heat, particularly ground and air source heat pumps. These technologies have been well developed and are now commonplace across much of the Northern Hemisphere, where temperatures can fall and rise across an extreme range, proving the effectiveness of this technology. The CCC report suggests that installing heat pumps could increase the value of a home and also found that, for the homeowner, future-proofing new builds through installing appropriate heat emitters and low temperature compatible systems now, could save in the region of £5.5k which would be the cost of retrofitting low-carbon heat from scratch. Heat pumps are a low temperature heat source that works best when paired with underfloor heating in a suitably insulated property. Ideal then for a new build construction. However, with planning and appropriate heating design, heat pumps with underfloor can also be retrofitted, as one of the suggested measures for upgrading our housing stock. So, how do we manage the transition effectively and responsibly to this bright new future? That is the challenge. Not ‘if’ but ‘how’. Clear and actionable government policy is now required and last week, as part of the Spring Statement, Philip Hammond announced a new Future Homes Standard with the intention of cutting the energy use of new builds in half by 2030. The details of the new standard will be consulted on during 2019 and are expected to change the way we build our future homes. In response, manufacturers will need to reframe their product ranges and consider routes to market. If all new build homes will be required to have low carbon heating from the end of 2025, with no more fossil fuel heating systems and ‘world leading’ levels of energy efficiency, then industry partnerships that accelerate the adoption of low temperature systems must be encouraged and support and training for builders and installers is key. I welcome the proposal to introduce the Future Homes Standard but ideally I would like to see this standard adopted sooner. We also must not lose sight of the other CCC recommendations, the fact that 80% of the homes we will need in 2050 already exist, and that this legacy of carbon emissions must be tackled too. There is more work to be done, and whilst we need to consider the challenges faced by the many businesses reliant on current technology and use of fossil fuels, we must also be very mindful of how the future must look. As Futurebuild has re-emphasised, more and more individuals, organisations, and now the Government, are beginning to seriously consider the alternatives. This gives me hope for the future and confidence that we can accelerate the transformation required for us to work our way responsibly towards it. Are you a water baby or an electric dreamer? Underfloor heating (UFH) has been in use in the UK for many years now and has been accepted as the sole source of central heating for the majority of new build and renovation projects, as well as supplementary heating for all kinds of property development. The UK is quickly catching up with the Scandinavian model where approximately 80% of properties use underfloor heating as the sole source of heat – a great benefit not only for energy efficiency, sustainability and economy, but also for the interior design freedom without the restriction of radiators! UFH can be installed in virtually any property, of any age or construction, but which version is right for you? Here we look at water vs electric underfloor heating systems in more depth. There are two main types of UFH systems: warm water (also known as hydronic) and electric, and we offer over 60 UFH floor construction options to suit every possible need. Warm water systems are similar to the traditional central heating system where the water is heating at a central point and pumped around the property via a series of pipes. Electric underfloor heating systems are either loose cables or cables embedded into mesh mats, which are laid onto an existing substrate usually covered with a thin screed (sometimes this is the tile adhesive if using them as the final floor finish) and connected up to a thermostat. Traditionally included in a new build construction, although systems in our LoPro® range can be laid over an existing floor making them ideal for renovation projects. More powerful in heat output than electric systems plus much more energy efficient than radiator systems and can completely remove the need for traditional radiators in your home. Screed based UFH systems have longer response times, but retain their heat well, keeping the floor warmer for longer. Can use a variety of heat sources to run, meaning renewable energy sources, such as air source and ground source heat pumps. Our new OneZone® underfloor heating kits offer the same high quality components, reliability, ease of installation and level of customer support that you would expect from any Nu-Heat system and are an ideal off-the-shelf purchase for DIYers and installers. The kits include everything required to install warm water underfloor heating in a single area – whether small and large – where a full system design is often not needed. This could be as part of a new extension or in a renovation project. Perfect for a smaller area and can be used as an add-on to a larger warm water system or as a standalone set up. Cheaper to install than wet systems. Usually more expensive to run than wet UFH, due to the cost per unit difference between electricity and gas or oil, but good for a small area where you want a speedier response, such as guest bathrooms. Great way of exploiting existing solar PV or wind technologies. Specialist electric systems, such as our new ElectroMat® OneZone ®, require no prior experience or any specialist tools and includes everything that you will need to install it; system controls, flexible ElectroMat® cable, de-coupling membrane and a fully illustrated installation manual which brings it well within the scope of a skilled DIYer. Which system is suitable for which area? Warm water UFH is suitable for virtually any space and any area; it just takes a little knowledge to understand what works best where. A new build will typically require a screed UFH system, where the UFH tube is held within a layer of screed, or a screed-replacement system like FastDeck®; a brand new, completely dry, combined UFH and floor deck solution. Upper floors are not excluded from warm water underfloor heating as the UFH tube can be fitted between, or straddling, the joists on upper floors. 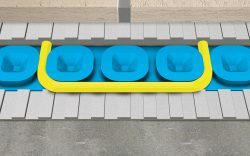 This is sometimes held in place by a metal heat diffuser plate, such as ClippaPlate®, and has a zero build-up height as it is laid below the floor. There is also a floating floor solution available for joisted floor constructions. For renovations a low profile UFH system, such as one from Nu-Heat’s LoPro® range, is ideal and is laid directly on top of the existing floor, with minimal disruption to fixtures and fittings. These low-profile, higher heat output systems are ideal for older properties, where UFH may not otherwise have been an option. Build-up heights of between 15-22mm are dramatically lower than the traditional 55-60mm of in-screed systems. Electric UFH can be used throughout the home but is best suited for use within smaller areas either as a standalone system or as an add-on to a warm water UFH system. ElectroMat® is particularly suited to bathroom and kitchen areas and is completely waterproof, so can be used within a wet room environment too with ease. The continual need to be eco-friendly and cost-conscious ensures we consider renewables integration throughout the design and fit process. Warm water underfloor heating can be used with any heat source including standard gas and oil boilers, range cookers and renewable technologies such as ground and air source heat pumps. Warm water UFH heating is typically around 25% more efficient than a modern radiator system as it works at much lower flow temperatures (typically 35-55°C as opposed to over 70°C for radiators), this makes it ideal for heat pumps which provide optimum efficiency at low temperatures, therefore reducing heating costs. As mentioned above, if you are able to exploit existing solar PV or wind technologies, electric UFH is a good option for you to consider as your running costs may well be competitive to a warm water system in smaller rooms or areas. Having underfloor heating installed as a replacement for radiators is not only extremely pleasing visually but is also a big win when it comes to keeping your home clean as no radiators means no dust or dirt magnets for you to manage! Both types of underfloor heating systems have no exposed hot surfaces or sharp edges making them a safe option for young children, the elderly and for pets. They are also great for allergy sufferers as they provide warmth free from draughts and dust movements which can aggravate these conditions. Finally, if you are developing the property for resale, then it is an accepted fact that purchasers will pay more for a property which has underfloor heating installed. Whichever system you are considering, contact us for a free quote. Our wide range of underfloor heating systems, both warm water and electric, allows us to offer you the most suitable and cost-effective system for your project. Discuss your next project with Nu-Heat’s specialist UFH advisors on 01404 549770 or email info@nu-heat.co.uk. Our MD, David Roberts, shares his thought on the challenges and opportunities ahead of us all in 2019. 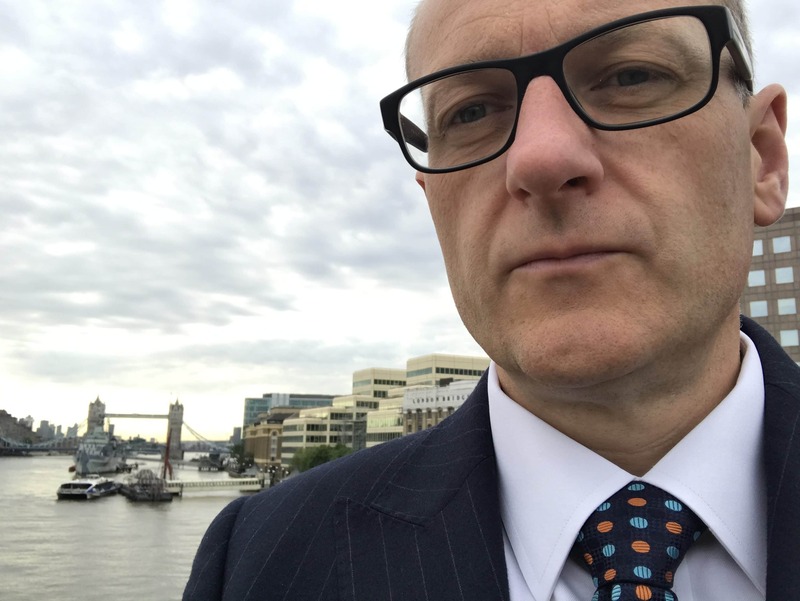 Nu-Heat MD David Roberts on why we should be confident – but not complacent – in 2019. 2019 is already shaping up to be a fascinating year, and we can all be better, faster, stronger and more successful in 12 months’ time. A new year always brings new hopes and expectations, new dreams and new resolve. But there’s a lot of uncertainty out there, with the potential for Brexit to have an impact on the UK, on the business community and on Nu-Heat. The truth is, we just don’t know what will happen. Uncertainty can trigger worry and fear and sadly I think there’s going to be a lot of that this year. However, I’ve decided that I’m not going to succumb and let worry hold me back. Be confident, but not complacent. That is my mantra for 2019. Research shows that 85% of things we worry about don’t happen and on average we spend one hour and 50 minutes a day worrying about stuff. That’s nearly 13 hours a week – or about five years across an average lifetime. FIVE YEARS! Decision made – I am NOT going to spend 676 hours of 2019 worrying about things I can’t do anything about. Instead I am going to invest that time focusing on making good things happen! At Nu-Heat our purpose is to make a difference to people’s lives through providing the best possible way to heat their homes, delivering amazing service and a being great place to work. Through doing that brilliantly well, we’re aiming to grow and we’re going for it. Now, Brexit probably won’t be as bad as some fear and there won’t be a recession this year, but there will be bumps in the road so we’re preparing just in case. Just because we’re confident, doesn’t mean that everyone else will be and low confidence can be bad for business. Our plan means we can be more confident about what will happen in our market and about what our customers need and want from us. With this awareness we’ll enjoy ourselves more, keep solving and keep serving – all of which will boost our customers’ confidence in us, help us to stay relevant and give us best chance of success. In uncertain times there is a temptation to put plans on hold, but this is unlikely to bring success. With any plan comes the potential for an upside and a downside. Your current actions are the best predictor of your future, so consider and cover as much of the downside as you need to and then go for it! The most successful people and companies are not the ones with the best plan – they’re the ones who are best at putting plans into action! Be confident but not complacent! I need targets to keep me on track and to let me know my plan is working, and we all need a helping hand along the way. On a personal note, I signed up for Red January this year, an initiative that aims to raise awareness of the positive impact that physical activity can have on mental health. This means I’m doing my mental health some good by doing something active every single day. I’m tracking what I’m doing each day to see what works for me both physically and mentally and I’m looking for specific results. That will tell me if my plan is working. I’m also telling everyone I meet I’m doing it. This is to raise awareness, but it also means I have more support and motivation. I won’t want to let myself down or the people I’ve told so it increases my chances of success! The same applies in business – increase your chances of success by making a plan, sharing it, committing to it and tracking the results so you know if your plan is working. Let’s be confident but not complacent in ourselves, our businesses and our communities in 2019. Instead of worrying, let’s invest time in taking action, planning well, sticking with it and sticking together. That’s how we’ll be better, faster, stronger and more successful by the time we get to 2020 – and have some fun along the way! 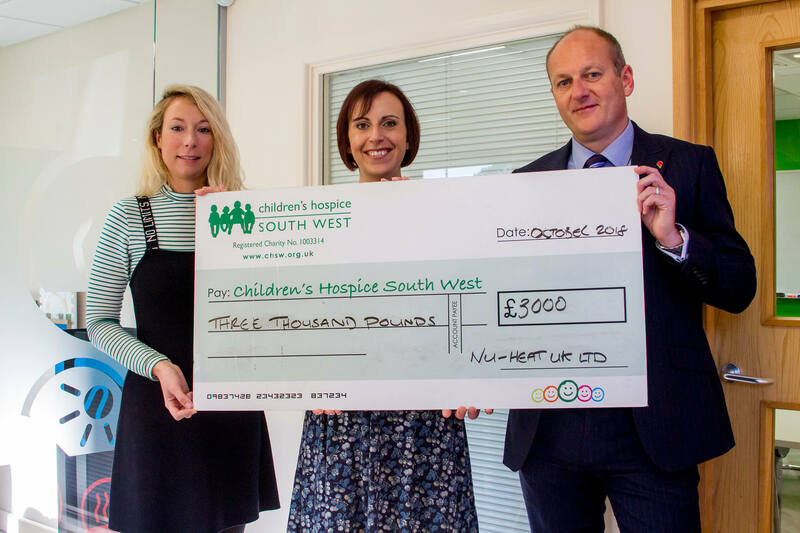 We are delighted to announce that our fundraising activities for Children’s Hospice South West (CHSW) have raised over £3,000 to fund specialist care for children with life-limiting conditions. We raised the funds through our annual charity BBQ and raffle, as well as putting our MD, David Roberts, behind bars for CHSW’s Jail & Bail event. The money raised is enough to fund a specialist children’s nurse for one month at Little Bridge House, CHSW’s hospice near Barnstaple. “Children’s nurses are an integral part of a team that supports families through vital respite breaks, emergency care, and end of life care. We would like to say a huge thank you to everyone who has supported our fundraising efforts for CHSW. Whether you donated a prize, bought a raffle ticket or helped David raise the bail to get out of jail, your support will make a huge difference to families in the care of CHSW. Find out more about the work of Children’s Hospice South West.